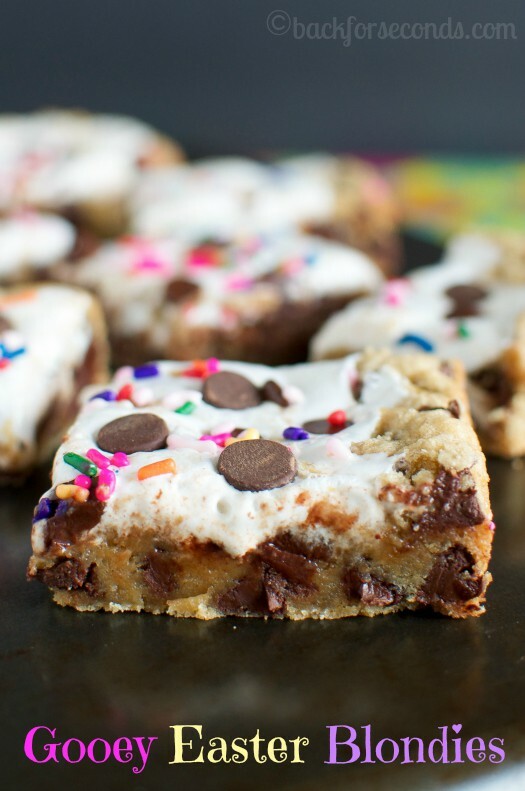 RAINBOW Chocolate Chip Blondies are soft, chewy, and so much fun! The colorful sprinkles make these perfect for spring time, Easter, or birthday parties! I am slightly obsessed with bar desserts. I just love how easy they are, and yet how impressive and delicious they can be! 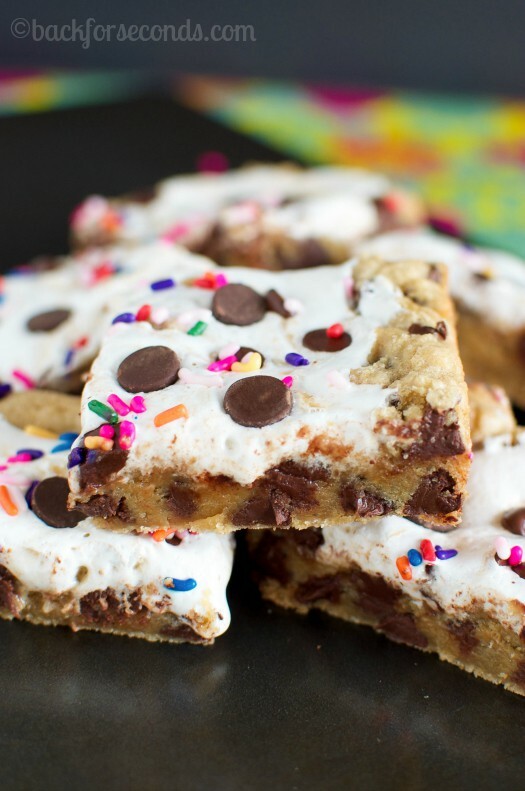 These Rainbow Chocolate Chip Blondies are just that. Easy, yet impressive and incredibly delicious! And the colors are so fun – these would be great for Easter dessert! These blondies are soft and chewy, and studded with lots of chocolate chips. 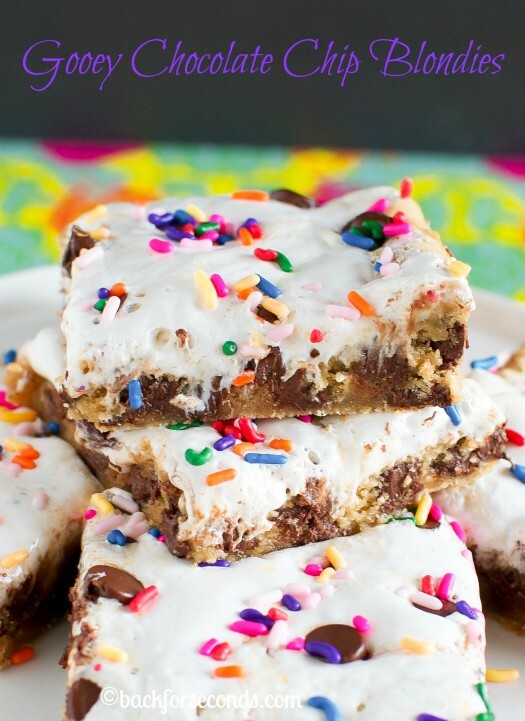 The marshmallow fluff is swirled over the tops of the bars and chocolate chips and sprinkles add the finishing touches. They bake up soft, chewy, and ooey gooey! Just they way I like my desserts! This fun sweet treat is sure to put a smile on your face! These are making my mouth water! I need like 6 of these in my life!